The site of ‘Ein el-Ḥilu is located at the northwestern end of the Jezreel Valley in the northern part of the modern city of Migdal Ha-‘Emeq. It spans the lower slopes of a hill and part of the valley floor of Wadi el-‘Ein, some 150 m northeast of the spring of ‘Ein el-Ḥilu; there are two additional springs in the immediate vicinity (‘Ein el-Malḥah, ‘Ein el-Judeideh) south of the site. The retrieval of three Middle Paleolithic flint hand axes at the site is evidence of Quaternary changes in the site’s landscape. These tools were found in association with the Ahuzam conglomerate, which is the basal layer of the site. In the upper reaches of this slope, excavations and surveys revealed evidence of intensive ancient quarrying in addition to many rock-hewn winepresses and other agricultural installations. This slope also served as a cemetery dating primarily to the Roman and Byzantine periods, with a single excavated burial cave dated to the Intermediate Bronze Age and the Middle Bronze Age IIA. The later Roman and Byzantine features are associated with the site of el-Mujeidil, situated at the top of the slope. 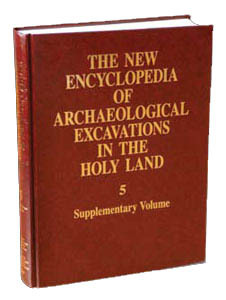 Archaeological excavations of an area of c. 0.6 a. were conducted in 1994 and 1998 by K. Covello-Paran on behalf of the Israel Antiquities Authority. The total area of the site is reconstructed as c. 1.2 a., based on excavations, probes, and topographic considerations. The excavations exposed a multi-period site with occupation dating to the Intermediate Bronze Age, the Middle Bronze Age II, the Late Bronze Age, and the Iron Age I, with later agricultural activities dating to the Roman period.